How to use SCAMPER to generate ideas? Innovation starts by brainstorming, and by coming up with creative ideas and implementing them in your product/service to make it better than before. But, brainstorming does not always guarantee solutions especially if you don’t know how to do it right. 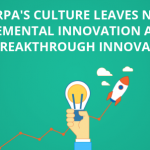 The most important and toughest part of the innovation process is generating new ideas. This is the first step towards a better product. Developing a new or improving an existing product by closing the opportunity gap can become challenging if you’re unable to come up with new ideas. In situations when generating ideas proves to be difficult and innovating becomes a challenge, SCAMPER model can come in handy. These 7 thinking prompts act as a guide when brainstorming for creative ideas to improve a product/service. Each prompt you to ask a set of questions and come up with creative ideas to answer them. It can be used by students, researchers, or even corporate teams as a structured thinking process. Let’s explore how to use scamper in order to improve a product, an idea, or a service. How can you use SCAMPER to generate ideas? The 7 methods listed in the SCAMPER describes the different ways to generate ideas. Questions that accompany each of these thought processes can help you come with several solutions to a single problem. For example, the A in SCAMPER stands for Adapt. It will help you determine the parts, or areas where you can adapt to make your product/service better. We will discuss each of these methods briefly in coming paragraphs. It’s not important to employ each and every method described in SCAMPER and it’s also acceptable if one solution fulfills multiple scenarios. First, think of a problem you would like to solve or a product you want to improve. It could be anything, a service, a product, or even an idea for a product that you plan to work on in the future. 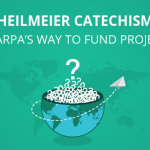 Now all you need to do is, scroll through each method listed in SCAMPER one by one, asking relevant questions and noting the solutions that come to mind. Let’s start with the very first prompt – Substitute. This is a method to think of solutions by substituting parts, material, people, or areas in your problem or product to improve it. Looking for areas that you can substitute can often help you in coming up with ideas about new features or to reduce the problem. What parts/people/materials can I substitute to improve the working of my product? Can I substitute one part for another in my product to make it better? What other products in the market you can substitute with your own products? What products in the market can substitute your product? As a real-world example, earlier this year, Boeing revealed their plans to use 3d printed parts in their 787 Dreamliner aircraft, instead of traditionally manufactured ones. This move not only is going to save them millions in manufacturing cost but the 3d printed parts will be much stronger and lighter as compared to traditionally manufactured ones. Thinking about combining one or more parts of your problem into one can actually help you find a simple solution or even solve multiple problems at once. Combining multiple innovative products/ideas into one can surely help you in achieving better outputs. What parts/materials can you combine to increase the potential of your product? Can you combine the initiative behind this product with another one? What to expect if you merge this product with another one? Electric hybrid vehicles are a great example of this prompt. In earlier 90’s when fuel prices on the rising spree, electric hybrid cars proved to be the perfect solution. By combining two different technologies (internal combustion and electric engine), researchers at that time not only improved the efficiencies of vehicles but, gave birth to a standard that is still a major part of the automobile industry. Adaption is the most common strategy in business when focusing on improving a product. You can think of solutions where adapting your product to some other application might help in increasing its use. 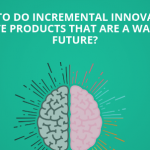 How can you adapt your product in order to solve a wider range of problems? Think of areas most important to you and ways you can adapt your product to target them. Can you adapt your product to some specific needs? Can you adopt a new process? Be it for making, marketing, or searching, etc.? What other products are like yours that you can easily adapt to? No product or service can survive the ever-changing industry standards if it fails to adapt. You will find numerous businesses/products that failed to adapt and hence failed to succeed. For a real-world example, Blackberry mobile could be the best candidate. Blackberry’s failure to adapt to the new standards that market was moving towards resulted in the demise of company’s smartphone business. On the other hand, companies like Samsung and HTC quickly saw the opportunities to adapt to consumer demands of big screens and faster processors and claimed a great market share. Samsung is still a market leader when it comes to smartphones while Blackberry almost vanishes. Thinking of small modification in the product is the most common way of solving a problem within. For example, if you want to increase the life of a particular product, you can think about modifying the materials to increase its structural strength to make it last longer. Which parts of your product can you modify to make it more useful? What qualities can you emphasize in your product? 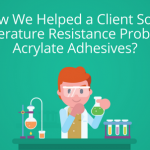 Can you modify your product in a way to increase its application areas? In the search for an example of this prompt, I stumbled upon Japanese cube watermelons. 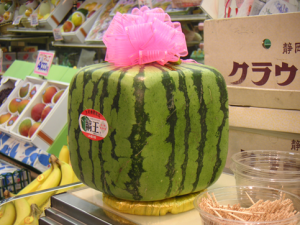 Pretty famous for their shape, the cube watermelons are just another innovative idea from Japan. By growing them in cubical boxes, these watermelons become easy to transport and store. Even though small, this change in shape of watermelons have gained a lot of attention from the public and became pretty famous in the USA, too. The upside is they are pretty expensive and added a lot of revenue in comparison to traditional watermelons. What other problems can your product solve? Thinking of an alternate application can often help you in increasing the potential of your product. This can also be applied to problems. Think of areas where similar problems may exist. This way you can look for solutions in that area and incorporate them into your domain/problem/product. Can my product be used in any other domain? Can a feature of my product solve a problem that might not have crossed my mind before? Apart from existing users, who else can use this? Take Driverless cars for example here. When autonomous vehicle idea was tossed into the market, it promoted an idea of replacing drivers with computers but, autonomous vehicles proved to be a great solution for many other industries. From public transit to the shipping industry, driverless cars have made a great impact. Similarly, autonomous vehicle technology is not limited to vehicles on road. Think about completely autonomous air travel or watercrafts. Elimination method works exceptionally well in solving problems. Think of the solution to a problem by reducing different aspects of it. Or in case of a product, think of ways you can simplify it or its purpose. Elimination can help you to remove unnecessary or less important parts. What features can I remove without affecting the core purpose of my product? What can I eliminate the delivery/manufacturing process? Can I eliminate any crucial part of problem/product to increase its purpose/scope? Xiaomi used elimination strategy and took over the smartphone market by storm. Upon analyzing Xiaomi’s business strategy we found that they eliminated the vendors and retail stores from their process and adopted online flash sales as a sole method to sell their products. Also, they avoided spending money on advertisements and other major marketing campaigns and only used brand awareness from online forums and user communities. These strategies helped them in producing smartphones with high-end specifications at affordable costs which resulted in millions of their devices getting sold in just a few hours. What if we try the bottom up approach? Can we reverse the way we manufacture/make/market our product/service? Can we rearrange the parts/people involved in the process? Going through all the prompts will leave you with dozens of questions and answers to them. Now, all you need to do is filter identical solutions. You’ll be left with a list of actionable ideas to improve your product or solve your problem. SCAMPER can help you in remembering different ways you can find creative ideas. 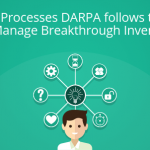 It’s a systematic approach to brainstorming to find innovative solutions.